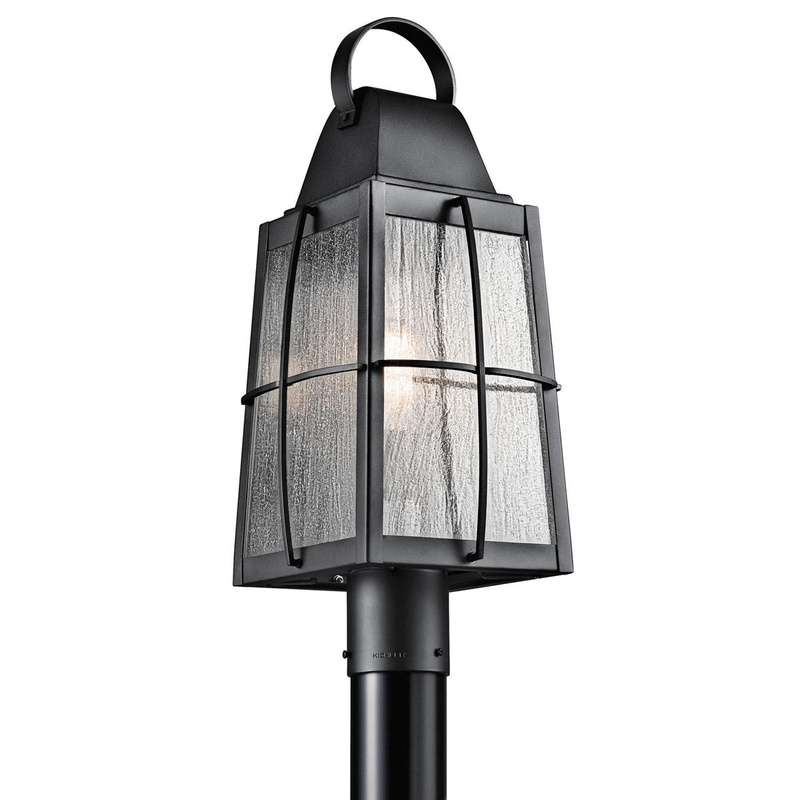 Kichler Tolerand Collection Outdoor post light in textured black finish, has clear seedy shade. It accommodates one 150-Watt incandescent lamp that has medium socket. It has voltage rating of 120-Volts. Post mountable light has power rating of 150-Watts. It measures 9-1/2-Inch x 21-3/4-Inch.